At Banning Healthcare, we pride ourselves on our dedicated, compassionate staff. We have been providing care for more than 25 years, and we specialize in providing rehabilitation services onsite to help our residents regain their independence and return to their homes. Banning Healthcare is located in Banning, CA. 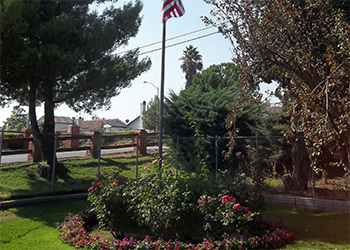 The City of Banning boasts a peaceful environment and is surrounded by beautiful hills and mountains. We are located near Palm Springs, San Diego, and Los Angeles. At Banning Healthcare, our patients appreciate our cleanliness, warm-hearted employees, and peaceful atmosphere. We take pride in our facility and quality outcomes for our patients. A team of qualified professionals helps residents recover from surgery, injury, or serious illness. They understand the importance of creating a comfortable and nurturing atmosphere, whether residents stay for short-term treatment or long-term care. All beds are Medicare and Medi-Cal certified. The full in-house rehab unit provides: physical, occupational, and speech therapy.